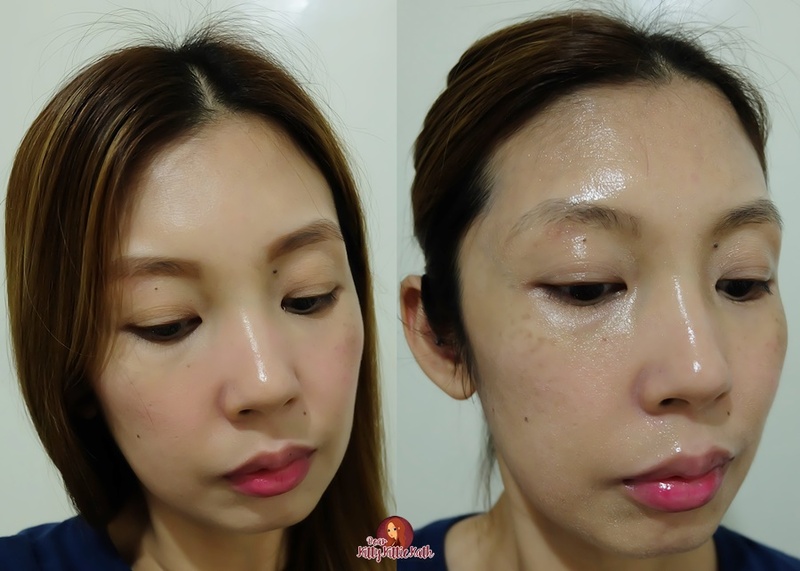 Product Review: Biorè Cleansing Line- Oil Cotton Facial Sheets, URU URU 2in1 Cleanser, Cleansing Oil, and Micellar Water + GIVEAWAY!!! How do you remove your makeup? I'm sure that you've tried a lot of makeup remover sold in the market today. Can I say that this generation is so lucky because there are different types you can choose from? Facial wipes, cleansing oils, and facial foams to name a few plus a new type of cleanser- the micellar water that's been getting good reviews from beauty bloggers and makeup enthusiasts all over the world. Cleanse and care with smooth cleansing oil and hydrating beauty essence. This is the first Biore makeup remover that I've tried last year and I'm sold because it's true to its claim of superior cleansing ability and speedy yet gentle cleaning on the face and eye area. Thoroughly removes all traces of makeup including waterproof mascara without irritating or drying your skin. Minimises repeated wiping by 50% on eyelashes, eye area, and face. No greasy or sticky feeling after use as cleansing oil does not remain on skin. 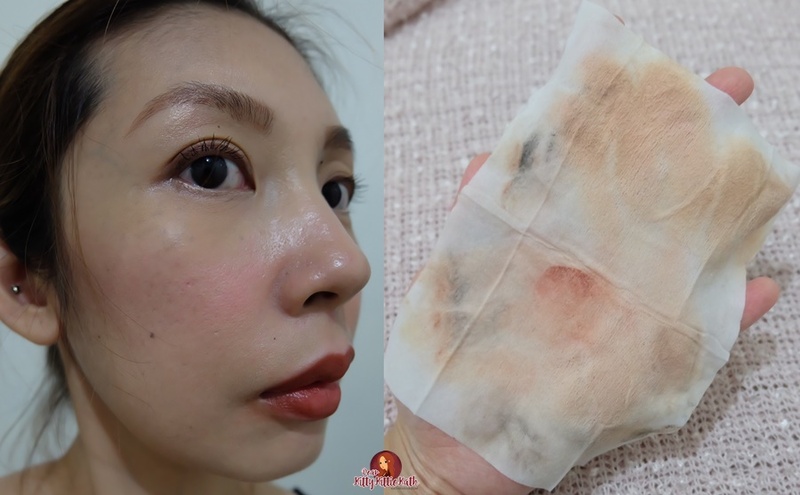 instructions for use: Using clean hands, gently wipe off makeup with a sheet. For removing waterproof eyeliner and mascara, gently press the eye area for one minute until the makeup dissolves. This foaming facial wash is suitable for all skin types. Cut down the double cleansing step as this product can do that in just one wash. Biorè URU URU 2in1 Instant Foaming Wash Cleanser combines makeup removal and facial cleansing in one step. The ultra-fine foam lifts away light makeup, penetrates deep into pores to remove all dirt, impurities, and residues. Instant foam in just one pump. Convenient and time-saving. Soft, dense foam for gentle cleansing. With 40% beauty essence (rosehip extract, royal jelly extract, and glycerin) for Uru Uru skin (soft and moisturised). instructions for use: Can be used in both and dry condition. Pump appropriate amount of foam onto palm and massage on wet face. Rinse thoroughly with water. Biorè URU URU 2in1 Cleanser is really fun to use because of the foamy and creamy texture. I only need a single pump for light makeup. It has a rich lather and thick lather and doesn't cause friction when applying all over the face. it made my skin soft, smooth and radiant after cleansing. If you're using a heavy and waterproof mascara, you may opt to use the cleansing oil first before washing your face with this cleanser. I only wish there's a refill bag for this since the bottle is sturdy enough and will last a long time so it would be economical if they have refills instead of buying another bottle. Gentle makeup cleansing oil that washes away stubborn makeup, even waterproof mascara. An oil-based makeup remover that has an excellent cleansing ability that makes makeup removal so quick and easy. If you apply heavy makeup every day, or you like creating makeup up pegs, this product saves time and effort removing layers of makeup. It removes waterproof mascara easily and lifts away dirt and skin impurities. No greasy and sticky feeling on the skin after use. Gentle and mild on skin. Unlike typical makeup removers, it doesn't emulsify upon contact with water thus maintaining its optimal cleansing performance at all times. instructions for use: Appy an appropriate amount of cleansing oil on face and massage gently to dissolve makeup. Rinse thoroughly with water. A little amount of Biorè Cleansing Oil goes a long way! I veered away from cleansing oil because I find it too thick for my combination skin. Since I don't use heavy makeup, I'm okay with cleansing wipes and facial foam cleansers. But I have to try and see if this cleansing oil lives true to the claims so I tested Biorè Cleansing Oil last week. 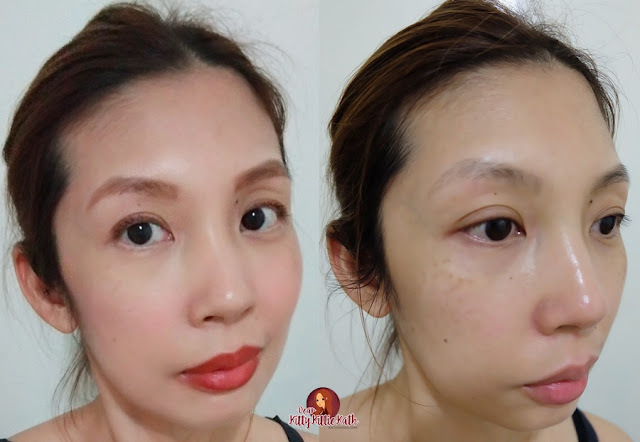 I was surprised that Biorè's formulation is not heavy on my face, a little goes a long way and dissolves makeup quickly especially waterproof mascara. The only thing I noticed that it stings my sensitive eyes during application. It has a subtle fruity scent which is a plus for me because I also have a sensitive nose. This lightweight yet effective makeup remover lifts off makeup and dirt from pores, leaving skin soft and moist feeling. Micellar Water Technology dissolves and lifts off more traces of makeup including mascara and eyeliner with less tugging on skin. Biorè Micellar Cleansing Water has two variants- Moist Up for dry to normal skin and Oil Contol for Oily or Combination Skin. Natural Mineral Water from Northern Japanese Alps- gentle on skin. Anti-bacterial formula- helps prevent pimples, and breakouts, and minises pores for a clearer, more refined complexion. Enriched collagen- leaves skin softer and more supple. Biorè Micellar Cleansing Water Oil Control variant has Oil Control formula- removes excess sebum and controls oil to leave skin feeling refreshed for longer. Biorè Micellar Cleansing Water Moist Up variant has Hydrating formula- hydrates and leaves skin feeling soft and smooth after cleansing. instructions for use: Pump an appropriate amount onto a cotton pad. 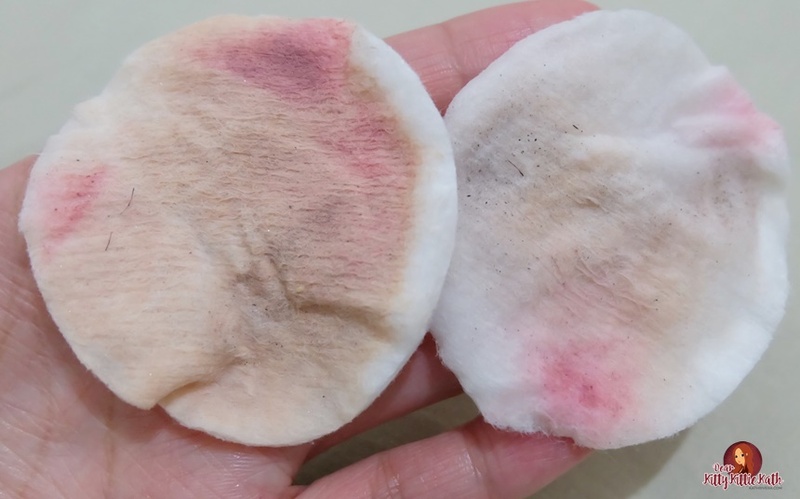 Used soaked cotton pad to gently wipe off makeup. No rinsing required. For eye makeup, placed soaked cotton pad onto closed eyes and hold for 5 seconds before gently wiping off. Drum roll please... my newest fave! At first, I thought I broke out using this but after using this alone to remove my HG (holy grail) makeup, I found out that the culprit is the Shiseido Foundation that I'm also road-testing. 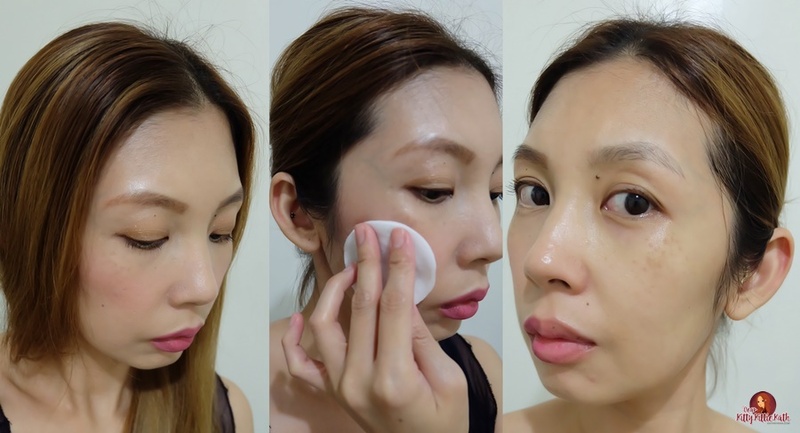 Anyhoo, this makeup remover is one for the books. It's Oil-free, fragrance-free, alcohol-free, colorant free, non-comedogenic, allergy and ophthalmologist tested. What I love about Biorè Micellar Cleansing Water in Oil Control Formula (for my combination skin)- its made from natural mineral water, super gentle on skin, did not break me out, no sting on my sensitive eyes, made my skin soft and supple. It has collagen, and in long time use can make pores looks smaller. Though the price may not be budget friendly, it lives up to its promise. 2. All entries must be set in PUBLIC. 3. Follow the instructions in the rafflecopter app below. 4. Prizes will be shipped to the winners' home address. I want to try Biorè Micellar Cleansing Water. I want to try Biore URU URU 2in1 Cleanser! I want to try the Biorè Cleansing Oil Cotton Facial Sheets. I'm a very lazy person when it comes to removing make up. So this cleansing facial sheets is what i need. I am using a different make up remover brand right now. I want to try this too. I want to try the Biorè URU URU 2in1 Cleanser because it sooth in all skin type. Cleanses and removes dirt. I really need this because I always expose to dirt since everyday nag hatid sundo ako sa anak ko sa school gamit lamang ang aming motorcycle. Biore's cleansing product that I want to try is Biorè Micellar Cleansing Water in Oil Control Formula. I've been seeing, hearing, and reading about Micellar Cleansing water and I am so excited to try it with Biore. This formula for sure will take away all the make-ups, dirts, and germs that my face have for the entire day. This is so promising and I am excited to try this soon. i want to try Biorè Micellar Cleansing Water in Oil Control Formula brecause I have an oily and sensitive skin. May natry na kong miscellar water pero di ako hiyang dun. sana itong product na ito from biore ay makasundo ng skin ko. I wanted to try po the Micellar Cleansing Water in Oil Control Formula kasi never pa ko naka-try ng micellar water. And parang hit na hit sya sa mga bloggers. I want to try Biorè Cleansing Oil. I always wear waterproof mascara and eyeliner. I am always in the field for photo and video coverages and my job exposed me to dirt, dust, and germs. I am looking for a cleansing agent that will definitely clean my face and I want to try Biore's Micellar Cleansing Water in Oil Control Formula. I have read reviews of this product and for sure this will entirely cover what I need in a cleansing water and I am excited to try it soon. I would love to try the Biorè Micellar Cleansing Water. Thank you so much Miss Kath for this awesome give-away! I want to try Biorè URU URU 2in1 Instant Foaming Wash Cleanser!